Admin magazine is a publication dedicated to system administration, a must buy for all system administrators. Buy a single copy or subscription to Admin magazine. The magazine is published on a bimonthly basis. As a system administrator you will find the technical solutions you need for system problems you face on a daily basis. 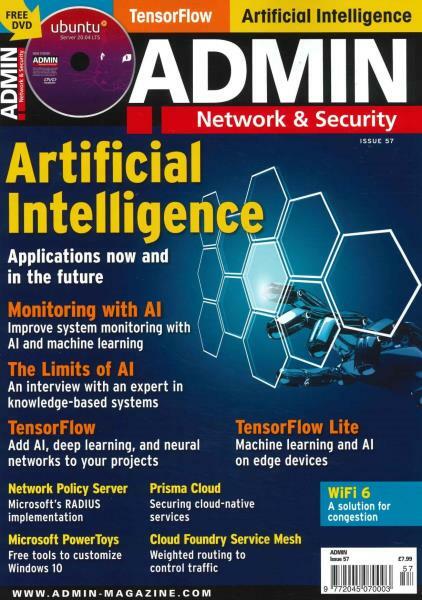 In Admin Magazine you will find all the latest news and solutions for system management, network security, performance tuning, cloud computing, virtualization and troubleshooting for Solaris, Linux, Windows and Unix systems. In addition, there are articles and reviews of small business servers, the latest toys in information technology, new software product releases, and the newest tools for virtualization. Get the latest on Linux packages with the highest functionality, be prepared for features of IPv6 which is now in most operating systems including Windows, Mac OS X and Linux.